Air Charter Advisors is your source for private jet charter flights to Mexico City (Ciudad de México), the capital and most populous city of Mexico, and one of the most important financial centers in the Americas. We offer instant access to private jets and airliners in Mexico and throughout the Americas, and we aren’t bound by any fleet, nor do we answer to any owners or operators. Our job is to find our clients the best aircraft for their flights at the best price, without locking them into a membership of loading charter costs with hidden fees and additional charges. Our years of experience in the air charter market and relationships with providers around the world allow us to offer the most competitive rates without compromising the safety and comfort of your flight, and we offer the most hassle-free, transparent booking process in the industry. Available 24 hours a day to meet all your private aviation needs, our jet charter team offers the highest levels of safety and service. Enjoy instant access to thousands of private planes, many of which are Wyvern Wingman/ARGUS Platinum for executive and corporate charters. You’ll also benefit from the most competitive rates on the market thanks to our exclusive marketing agreements with a variety if operators in our network. 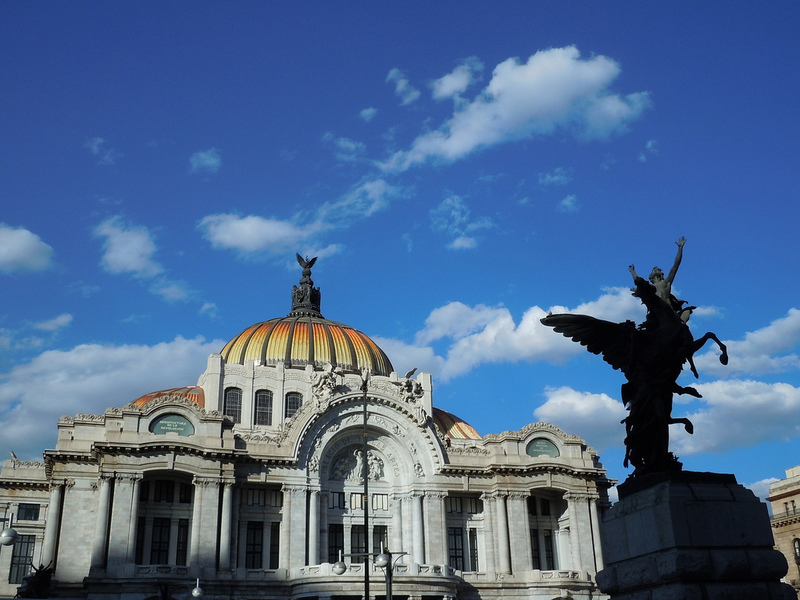 Mexico City is one of the most important cultural and financial centers in the Americas, and it’s important to know you’re in good hands when arranging your jet charter to (MMMX, MEX) Benito Juarez International. Wyvern-certified, our brokers review third-party audits to locate planes and pilots that meet our strict safety standards, presenting only the best options for your flights to/from Mexico City, across the Baja or Yucatan, the Pacific and Gulf Coasts, the North, or surrounding areas of Central Mexico. For hourly charter rates, flight pricing, and aircraft availability, please request more information, or call one our Mexico Air Charter Advisors direct at 1-888-987-5387 (JETS). There are three major private jet airports throughout the metropolitan area, which is home to an estimated 26 million residents. Please note that aircraft operations at MMMX are restricted to commercial airline service, and the FBO on-site is used for government flights and public charters. When flying private to/from Mexico City, you will use MMTO Toluca International, and not MMMX. Helicopter transfers between the two airports may be available, as Toluca is nearly an hour away. Cuernavaca Airport (CVJ) is located 68 miles to the south, but equally an hour away by car as it’s outside of the densely populated metro areas running horizontally though the region. The New York Times named Mexico City as the world’s top travel destination in 2016, touting it’s historic sites, cultural events, athletics, and cuisine, among other things. No wonder private and business aviation continues to rise in the City of Palaces. The City of Mexico (Ciudad de México) was founded on the ruins of the Aztec capital Tenochtitlan in 1325, after the Spanish conqueror Cortes destroyed the Aztec capital in 1521. The city served as the capital of New Spain until the outbreak of the Independence War in 1810. The city became the capital of the Mexican Empire in 1821 and of the Mexican Republic in 1823. In 1968, the city was host to the Olympic Games, which saw the construction of the Azteca Stadium, the Palacio de los Deportes, the Olympic Stadium, and many other sports facilities. Today, the city has grown fast in the 20th century, and is today North America’s largest city (and the world’s largest Spanish-speaking city) with 8.9 million inhabitants in the city proper, and more than 26 million in its metro area. The city consists of sixteen municipalities, each offering a variety of different experiences for private jet travelers. Located at an altitude of 7,350 feet in the Valley of Mexico (Valle de México), the city rests in a large valley in the high plateaus at the center of the county, offering a mild, moderate, and consistent climate throughout much of the year. Weather is divided into two seasons; November to April experiences dry spells, while May to October sees rainfall more often. Springs are warm, while summers can vary from dry and hot to humid with late afternoon rains. Mornings in Autumn and Winters can get really cold, but offer amazingly clear skies and incredible photo-ops. Temperatures range from 32° F in late fall and winter mornings, with mid-day highs averaging 89° F from March through May. Executives and corporate teams charter private jets to Mexico City from across North and Latin America for meetings and business ventures, a smart investment considering it ranks 8th overall in terms of GDP size among 30 world cities. Ciudad de México is home to the Mexican Stock Exchange, and a majority of local and multinational corporations are headquartered here, mainly in the Polanco and Santa Fe districts. In fact, over one-third of the Mexican economy is concentrated here, accounting for $315 billion USD annually — compare that to Chicago, whose annual total is just higher at $575 billion. It’s also the wealthiest city in Latin America, with a GDP per capita of more than $25,000. Despite the city’s impressive numbers, Mexico as a country ranks as the 65th richest in the world out of a total of 184 countries. Still, the city is home to the nation’s lowest poverty rate, and holds the highest score on the Mexico City’s Human Development Index (2009-MHDI) at 0.9327. Mexico City is home to one of Latin America’s busiest private aviation communities, with numerous corporate aircraft, privately owned jets and charter operators serving one of the most important economic centers in the Americas. It’s also an attractive destination for luxury travelers seeking some rich, exciting culture. Benito Juarez International (MMMX, MEX) is one of the most important aviation hubs in the Americas, handling nearly 42 million passengers annually, moving 483,433 cargo tonnes, and accounting for $4.4 billion of economic impact for the year 2102. The two runways both measure well over 12,000 feet, accommodating any size aircraft you can hire. Some of the most popular jets categories for Mexico City air charter include Mid-Size (Citation III, Gulfstream G150, Hawker 800XP); Super Mid-Size (Gulfstream G280, Falcon 50, Hawker 4000); Heavy (Challenger 604, Gulfstream GIV, Legacy 600); and Long-Range Jets (G650, Falcon 8x, Global XRS); as well as airliners ranging from 30-50 passenger Embraer ERJ145 regional jets, to Airbus and Boeing airliners for corporate and executive groups, sports teams, and large parties of 100 and more. These airports will place you more than an hour’s drive and over 100 kilometers from the center of Mexico City, but perhaps that’s exactly what you’re looking for. Arrive privately at major airports in Puebla and Queretaro, each featuring a runway well over 11,000 feet to handle any size aircraft flying just outside of Ciudad de México. From ad-hoc and bespoke jet charters, to aircraft sales/acquisitions, charter marketing & management, jet cards, fractional programs and more, our comprehensive aviation services cover all aspects of leisure and executive aviation. We offer free, no-commitment quotes, the highest levels of safety and service in the industry, and we’re available 24 hours a day with services extending around the globe. For hourly charter rates, pricing, and aircraft availability for your upcoming private flight to Mexico City, call us at 1-888-987-5387 or contact us via e-mail with your trip details.